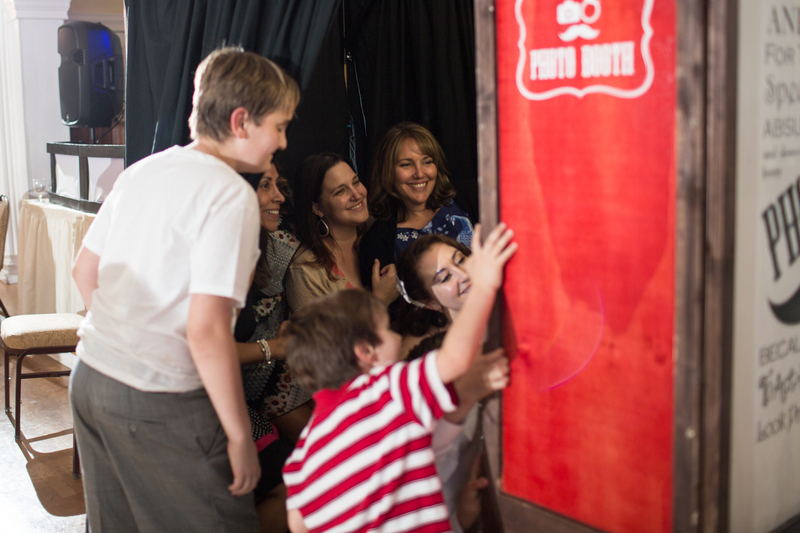 Here is a physical photo booth powered by Instant Photo Booth. 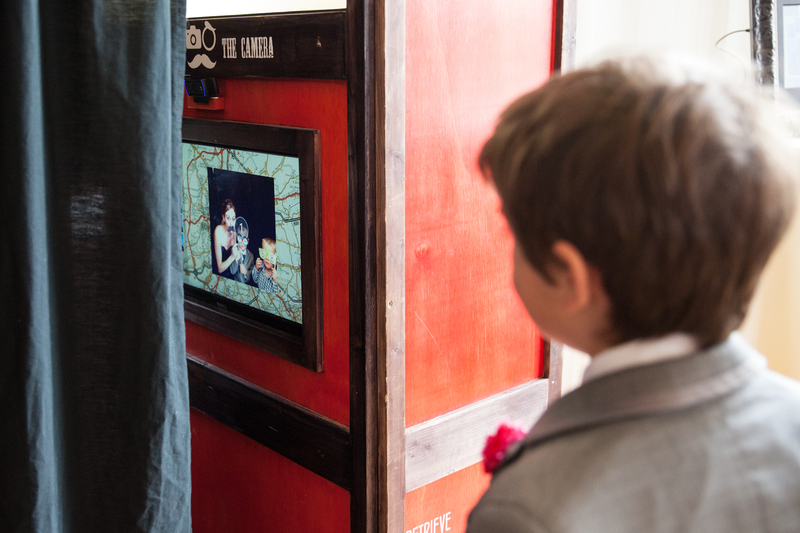 Built of collapsible plywood panels, this portable photo booth uses a Windows 8.1 desktop PC with a touch screen monitor and an external webcam. You can see the camera between the monitor and the lightbox. Using a high-end HiTi P510s dye-sublimation photo printer gives truly profesional results. 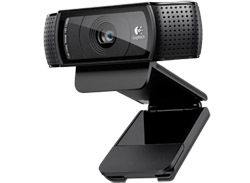 This camera has the best image quality of any webcam. It has excellent exposure and detail and enough resolution for 4×6 print products. 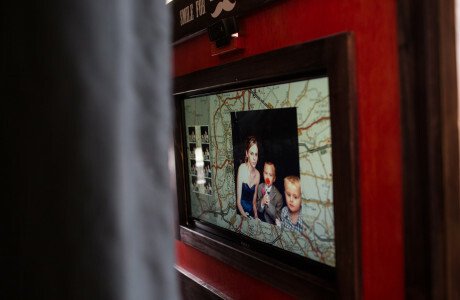 The photo booth uses a desktop PC with an external touchscreen. This allows the screen to be large at a low cost. The booth could just as easily use an all-in-one PC. 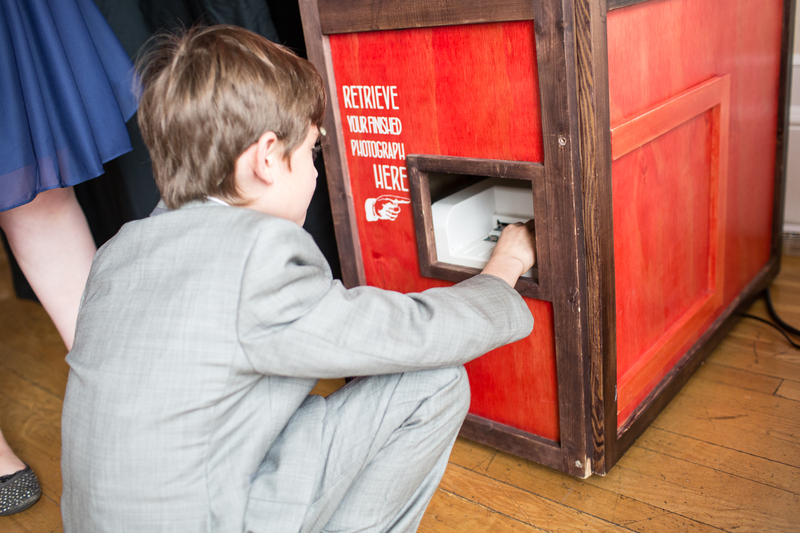 This printer really makes the photo booth. 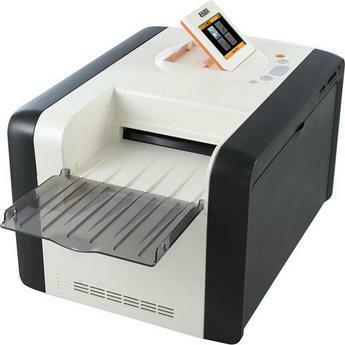 It can print a 4×6 in 12 seconds, and it can automatically cut it in half to make traditional 2×6 photo strips. The professional dye sublimation process creates gorgeous, durable, and borderless prints. 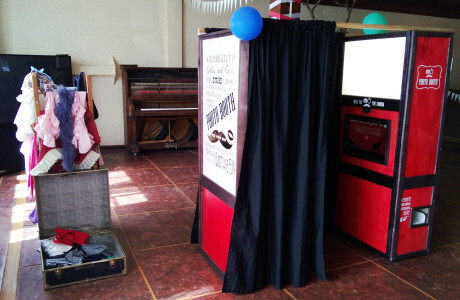 While this photo booth uses many different features as called for by the needs of an event, only the following features would be needed to create the configuration seen in the image to the left. 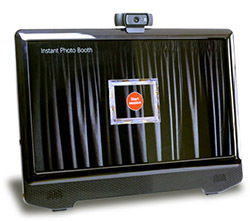 Any external USB webcam that is compatible with Windows 8.1 is supported in the Instant Photo Booth base package.